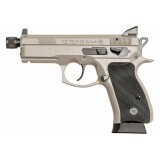 A Sniper Gray colored version of the 92FS in 22LR with the addition of an accessories rail. 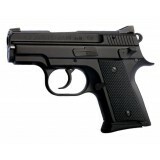 92F.. 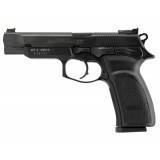 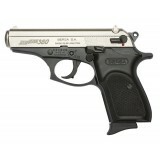 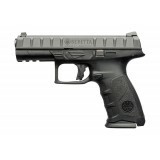 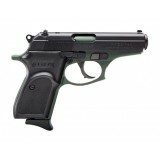 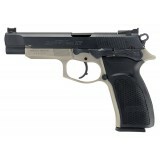 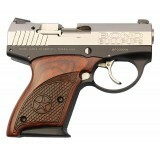 The Thunder .380, Bersa's best selling model, offers numerous valued features - accuracy, reliab.. 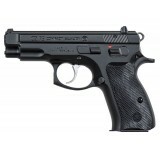 This exciting model is the brainchild of experienced sport shooters. 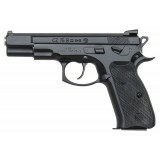 Tested under the most adverse c.. 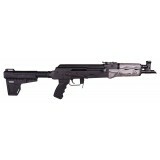 Designed for law enforcement, the TPR9 delivers the same rugged durability, accuracy, and reliabilit..
Paired with the Shockwave Blade™ stabilizing brace, the Draco US AK pistol presents a trim, co.. 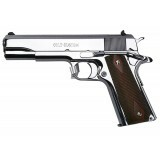 The Colt Cobra® is now available in a carry-ready format. 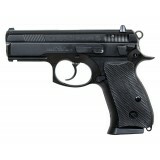 Matte black DLC (Diamond-Like Carbo.. 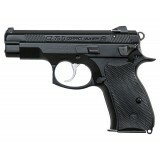 The CZ 2075 RAMI BD is a decocking version of the classic RAMI design available only in 9mm Luger. 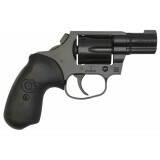 T..
A further evolution of the 75 B Ω, the new Convertible version allows users to swap from decocker to..
At 5" tall with a barrel length of just under 4", the Compact model shaves a little more t.. 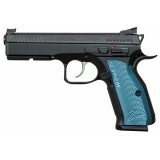 The PCR name stands for 'Police Czech Republic,' the group for whom the model was originally.. 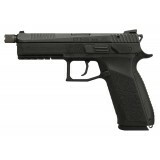 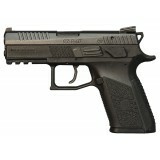 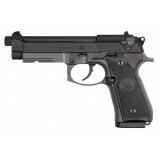 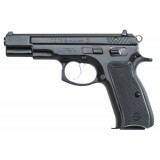 The CZ 75 SP-01 is the first full size handgun (4.61" bbl) from CZ to feature the improved manu.. 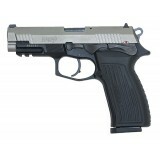 The Tactical variant of the SP-01 utilizes an ambidextrous decocker in place of the manual safety on.. 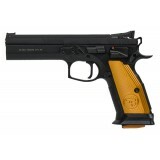 Turning the Tactical Sport up a notch, the Orange borrows a number of design features from the Czech.. 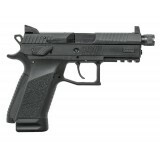 The CZ P-01 is a compact, aluminum-framed 9mm designed for LE and Military duty, but its compact siz..
Part of the 2016 Urban Grey Suppressor-Ready Series, this pistol is clad in urban grey (a mix of gre..
Loaded with features but without all the flash of the Urban Grey series, the standard black P-07 Sup.. 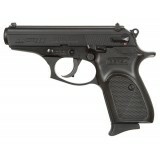 The P-09 is our full-size polymer offering, boasting an impressive 15+1 capacity in its flush-fittin.. 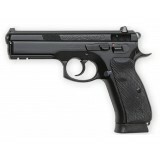 Designed in 1975, the CZ 75 is the flagship model of the CZ handgun line with over one million produ..